Recently, several residents in the Los Angeles county area have received phone calls from unscrupulous callers falsely representing themselves as the Civil Processing Unit of the Los Angeles County Sheriff’s Department. The caller will tell people the Civil Processing Unit is requiring payment for missed jury duty or traffic fines. The scammer states they are associated with the Sheriff’s Department and they are providing a true name of a high ranking law enforcement officer. The victim is instructed to leave a message or a live person will get on the line. The victim is told to purchase a re-loadable type gift card and is asked to read the numbers off of the back of the card to the scammer. If you believe you have missed jury duty or have an unpaid fine, call the courthouse directly. The Los Angeles County Sheriff's Department DOES NOT accept re-loadable cards or gift cards as payment for fines and WILL NOT ask you to read the number off the back of the gift card. Never call the phone number that is provided by the scammer or a phone number left on a voicemail requesting a call back. Always do your research before sending money. If you live in the Walnut Diamond Bar Sheriff’s Station jurisdiction and you have been scammed where you have suffered a financial loss, please call Walnut Diamond Bar Station dispatch at (909)595-2264. You can also file a complaint online with the Federal Trade Commission at ftc.gov or the FBI at ic3.gov. 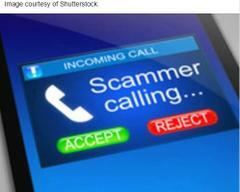 Please help us prevent anyone else from being victimized by these scammers- tell everyone you know about this scam.